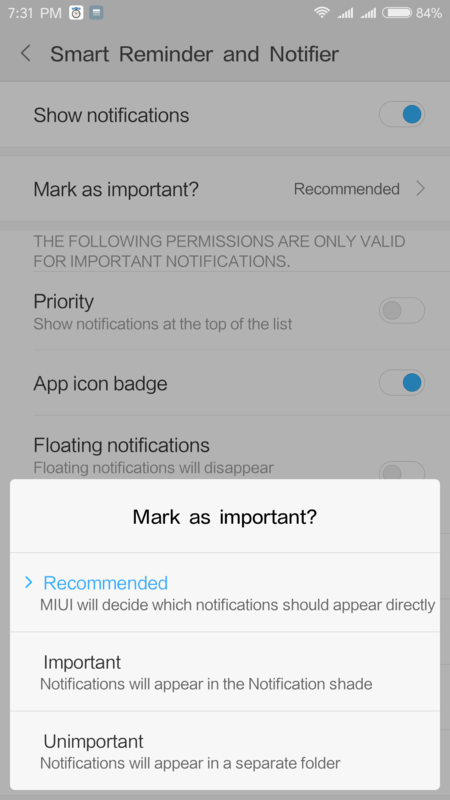 The Xiaomi phones automatically mark notifications as important or unimportant, and it marks Smart Reminder and Notifier app’s notifications as unimportant as shown in figures below. 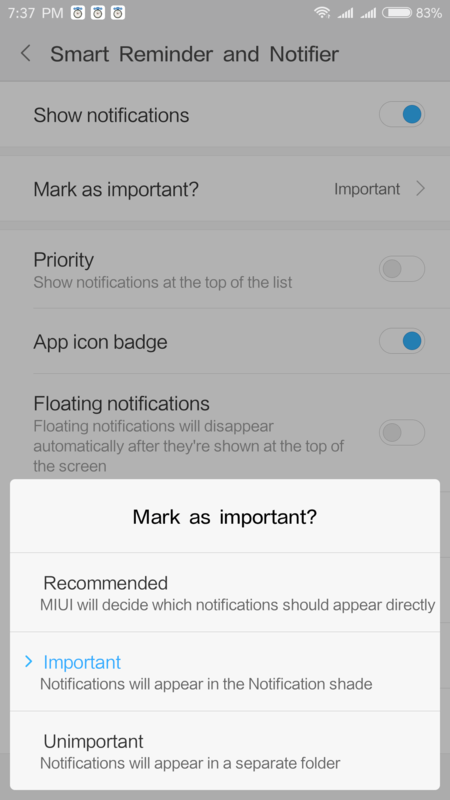 Any notification marked as unimportant does not make sound or turn light on. 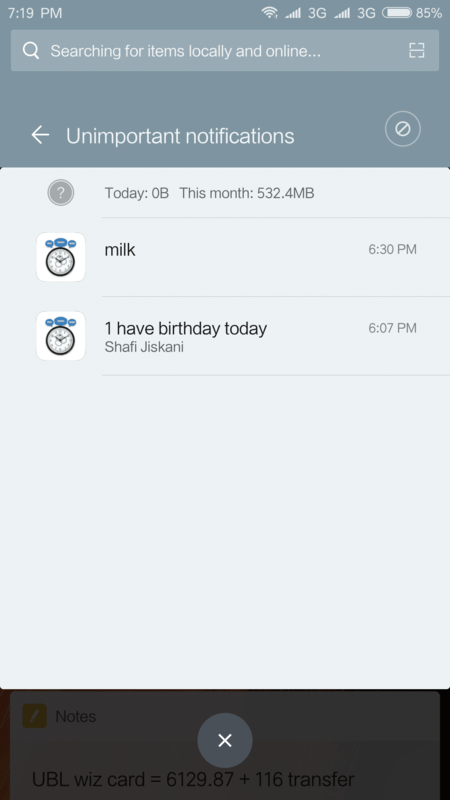 In order to receive notifications and Important information on time, it is necessary to make smart reminder and notifier app’s notifications as important. To make its notifications as important kindly follow following steps. 1. 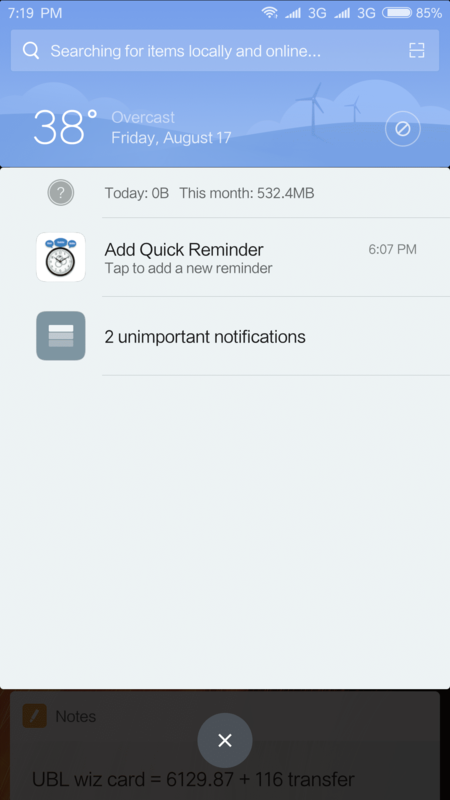 Press and hold “Add Quick Reminder” notification in notification bar. 2. 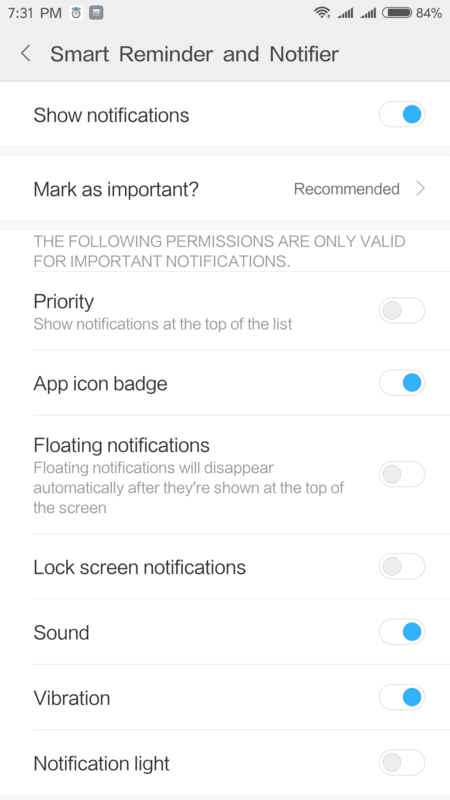 Notification settings will appear for smart reminder and notifier app. 6. 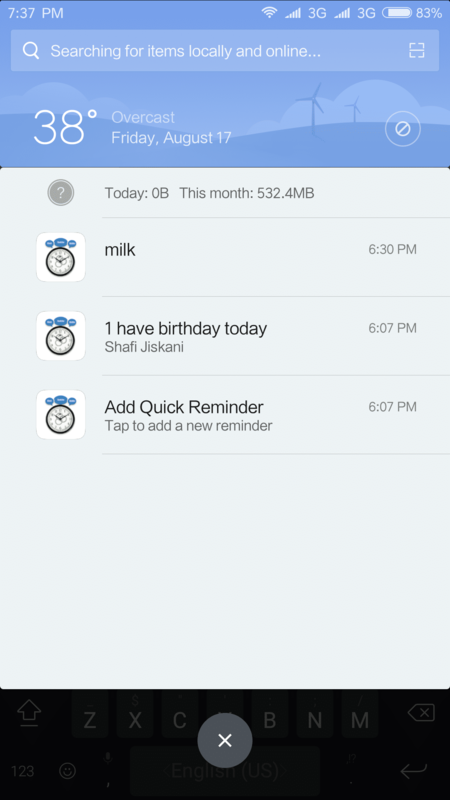 Now all notifications from smart Reminder and notifier will appear in notifications bar and will also function properly and will make sound.